September 4, 2018 By Editor & filed under FMH GOLD LIVE. Bob LaRosa knows we all love to customize our Hogs. 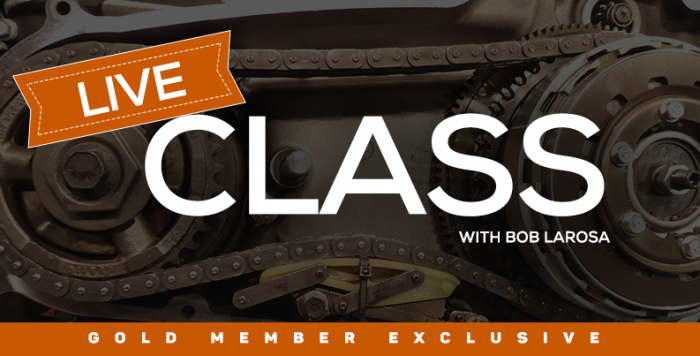 In this exclusive class, Bob walks us through several types of upgrades. He looks at performance and appearance upgrades on Harleys from front to back. Sit back and make a list of what you would like to bolt-on your Hog. April 24, 2018 By Editor & filed under FMH GOLD LIVE. Bob LaRosa knows we all love our Hogs. Sometimes scratches happen no matter how hard we try to protect our pride and joy. Bob will walk us through the necessary steps to fix or reduce the appearance of a scratch. November 6, 2017 By Editor & filed under FMH GOLD LIVE. Bob LaRosa reviews and demos both wet and dry clutches. He discusses clutch design changes throughout the years along with proper maintenance and adjustment. September 13, 2017 By Editor & filed under FMH GOLD LIVE. Bob LaRosa walks us through one of the most neglected components on a Harley, the tires. He covers topics such as tire makeup, tire construction and proper tire maintenance. Bob goes way beyond just checking tire pressure, although that is one of the most important factors of tire maintenance. July 19, 2017 By Editor & filed under FMH GOLD LIVE. Bob LaRosa covers the history of ABS, problems Harley Davidson motorcycles have had, and the litigation that followed. He also offers proper maintenance recommendations and the proper use of the ABS system. January 12, 2017 By Editor & filed under FMH GOLD LIVE.